Tequila! It makes me happy! Until I’ve had 9 shots that is, then I feel like I want to go to bed for a week. It’s a fun drink that can be enjoyed in a variety of ways, the most popular being the slammer form, where you lick a lime, drink some tequila and bite some salt. Or something like that. Fun tidbit, apparently in Mexico, they eat the salt to replenish the natural body salts you lose when drinking alcohol. Clever stuff. This month we wanted to contain that little liquid of joy into a tasty cocktail, tequila is probably the most fun out of all its spirit buddies, so we decided to keep that fun housed in a really cool vintage birdcage for you to enjoy. 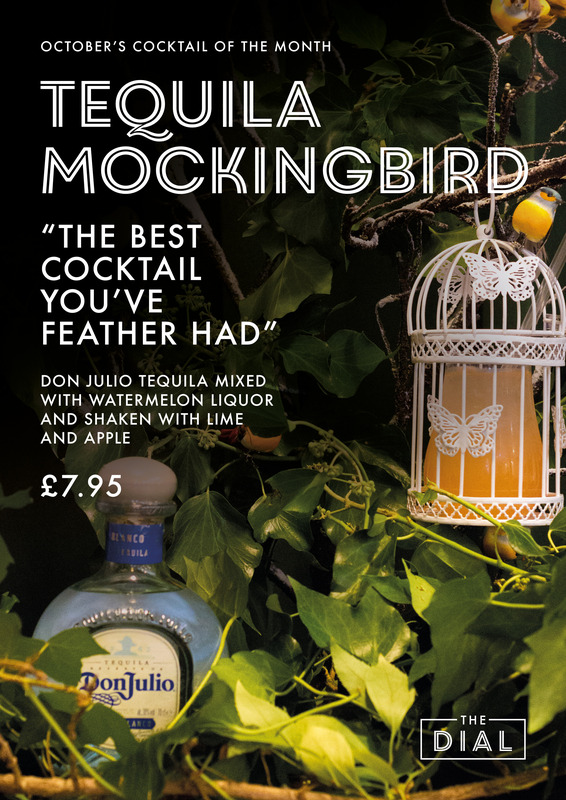 Ladies and Gentleman, we would like to introduce to you, the Tequila Mockingbird Cocktail of the month! What the Tweet is in that fun house!? We’ve used Don Julio tequila, (translated means Mr Julio), which is, as you might have guessed, the Don of tequila, made using the finest blue agave and bottled as soon as the distillation process is complete to harness as much of the flavour as possible. We’ve mixed this with a really fresh watermelon liquor, a pairing that is overly underrated, and gone even further and shaken them both with a hint of apple schnapps and apple juice. Creating a smooth and fresh tequila cocktail. This taste of joy is all housed in a birdcage along with another inhabitant, a little bird I like to call Alejandro, but you can call him what you like, he’s friendly like that.